Wolfsburg - After VfL Wolfsburg underlined their European credentials with a comfortable 3-1 win over second-placed Bayer 04 Leverkusen on Saturday evening, Brazilian international Luiz Gustavo was eager for his side to push on. Luiz Gustavo: My celebration was for my son. He's a good little lad. We're only concentrating on our targets and our style of play. It's working really well right now. At the end of the day our aim is still to achieve something of note this season. 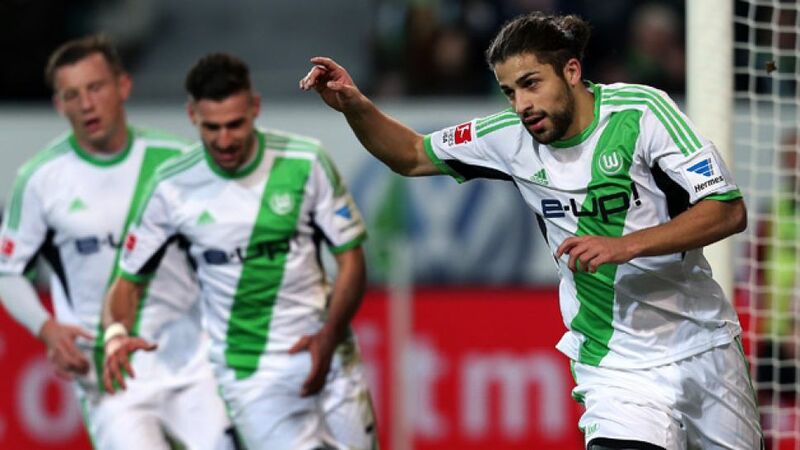 Ricardo Rodriguez: I always want to score. It's a shame I missed the penalty, but I'm happy to have scored. It's the first penalty I've missed in my career. Bernd Leno was in top form though and did really well to save it. I'm really determined to see us playing in the UEFA Champions League. I believe we deserve it. Stefan Kießling: The goals scored by Luiz Gustavo and Ricardo Rodriguez were the deciding moments of this game. We always tried to get to the ball first, which we did well at times, but falling behind cost us dearly. As for the late goalmouth scramble, what can I say?! It was a scene typical of our form. We've been making life difficult for ourselves recently. We need to all sit down together and work out how to change that.